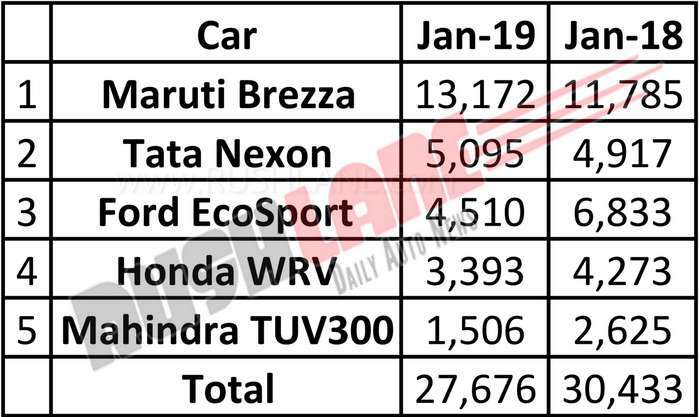 In January 2019, Tata Nexon sales stood at 5,095 units as against sales of 13,172 units of the Maruti Suzuki Brezza. Tata Nexon has seen sales surge past that of the Ford EcoSport in January 2019 in the compact SUV segment yet again. Scoring at a No.2 spot on the list of best selling compact SUVs in January 2019, Nexon sales stood at 5,095 units, followed by the Ford EcoSport at No. 3 with sales of 4,510 units. The other two players in the top 5 segment of compact SUVs were the Honda WR-V with sales of 3,393 units and the Mahindra TUV300 with 1,506 units sold in the past month. Maruti Brezza continues its dominance in this segment with sales of 13,172 units last month. Ever since Brezza has been launched, it has been the best selling compact SUV in India. Apart from Brezza, Tata Nexon too has managed its position as no 2 best selling in the segment. Nexon is the only made in India car to have achieved a full 5 star rating from the Global NCAP for crash safety. Tata Motors recently took a dig at rivals Ford EcoSport and Maruti Brezza, in a video promotion about safety. The video showed how most car buyers continue to ask questions like ‘Kitna deti hain’ and ‘Family waali feeling’ (Maruti and Ford respective tag lines), instead of asking more important question like how safe is the car. When compared with sales of Jan 2018, sales of compact SUV in Jan 2019 have declined by about 10%. Except for Maruti Brezza and Tata Nexon, all other cars in the segment have posted a decline in sales. Brezza sales increased from 11,785 to 13,172 units while Nexon sales increased from 4,917 units to 5,095 units. Ford EcoSport sales declined from 6,833 units in Jan 2018 to 4,510 units in Jan 2019. Auto makers are finding it difficult to push sales further, as market sentiment is negative. Almost all car makers are selling new cars at discounts / benefits. Tata Motors too has introduced National Exchange Campaign for the Hexa, Nexon, Tiago and Tigor. Tata Nexon comes in with an exchange offer of Rs.25,000 with a maximum benefit upto Rs.79,000 which could see increased sales through the month of February. Others in the segment too are offered with discounts. But despite slow sales, manufacturers are confident about this segment. This is the reason that by May 2019, we will have two more cars in the segment, which will offer solid competition to the five cars above. These are Mahindra XUV300 (launch on 14th Feb) and Hyundai Carlino Styx (launch expected in May). 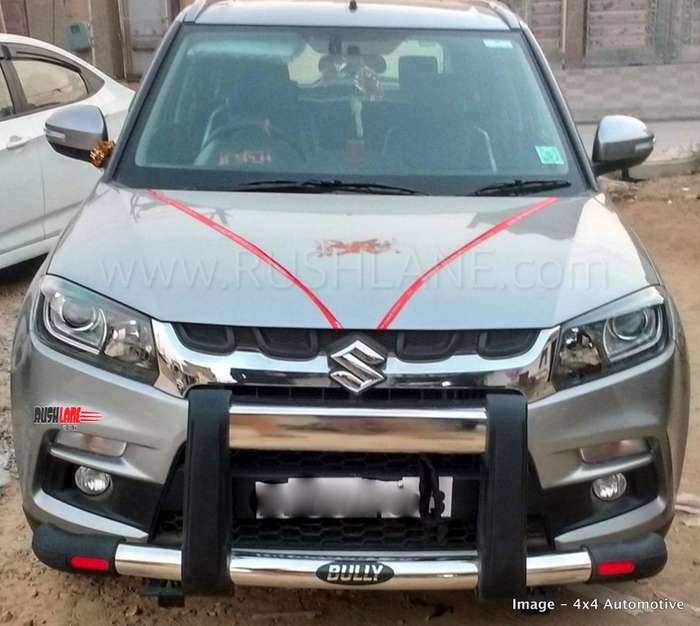 Only time will tell how the launch of these new cars will affect the sales of Maruti Brezza, and Tata Nexon.